I got an email from Little Green Pickle, a PR firm in Portland, asking me if I wanted a sample of Hazelfern Cellars Winter Rosé. It’s “a beautiful and unique rosé the transcends the hype associated with pink wine.” I was like, did you see my VinePair article about drinking rosé beyond the pale?!? I’ve even written (2012!) about drinking rosé in winter, specifically a richer/darker Bordeaux style called Clairet. Which I was apprehensive about. How the pink wine pendulum swings. How do they do it? Let’s look at the wine. A blend of 95% Pinot Noir and 5% Barbera, this rosé spent 10 months in neutral French oak. The alcohol clocks in at 12.9%. The back label accurately touts its versatility with poultry, winter veggies, and roasted meats. I like what the barrel-aging and extra skin-contact bring to the wine. It’s still refreshing. Most boring rosé is closer to bland white wine, leaving you wondering how it even came from red grapes in the first place (besides the color). The Hazelfern Cellars WR definitely has that savory, fruity Pinot Noir character. If “winter [rosé] is coming,” bring on the deeper-colored, richer, more savory rosés. Keep the White Walkers, tho. The post Hazelfern Cellars Winter Rosé is Good Any Time of the Year appeared first on Jameson Fink. I was offered sample bottles from Susana Balbo Wines in Argentina and while perusing the list a couple caught my eye. One thing I don’t want to see happen to the country as far as its wines is for it to be pegged as full of Malbec, more Malbec, and nothing but Malbec. Don’t get me wrong. Malbec from Argentina is some of the best bang-for-the-buck red wine out there. But just as Australia cannot be defined by Shiraz alone, this South American country can spread its wine wings and fly. So let’s look at a couple slightly heavy (not a fan of weighty packaging) but lovely bottles. Wow, this is one of the most impressive white wines I’ve had from Argentina. 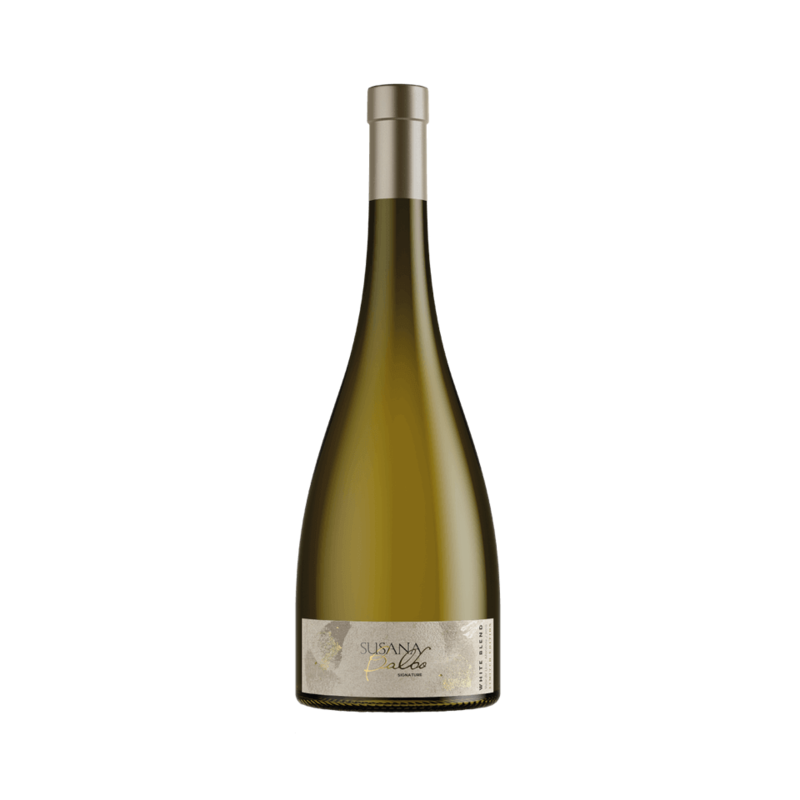 The Brioso is a blend of 45% Semillón, 30% Torrontés, and 25% Sauvignon Blanc. Reminds me a lot of a white Bordeaux, but that floral Torrontés moves it into a more pleasantly perfumed category. Has a definite pear-ness on the finish. A perfect medium-bodied wine. And, yes, Brioso has some oak to it. (Praise.) Four months total time in wood. Of the barrels, 60% are new and 40% are seeing their second use. The former gives you some pleasant oak notes, the latter a more mellow, textural impact. Ok, I sorta lied-ish with the title of my post. This rosé is a blend of 60% Malbec and 40% Pinot Noir. A most unusual mix! Though I found the Pinot Noir to really come through, surprisingly not dominated by Malbec. I’d probably call this a PN rosé if someone made me guess the grape(s) blind. It also shows that Malbec doesn’t have to be an inky-coating blob monster red. It can play a large, yet elegant, role in a rosé. Yay for promoting wines from Argentina! 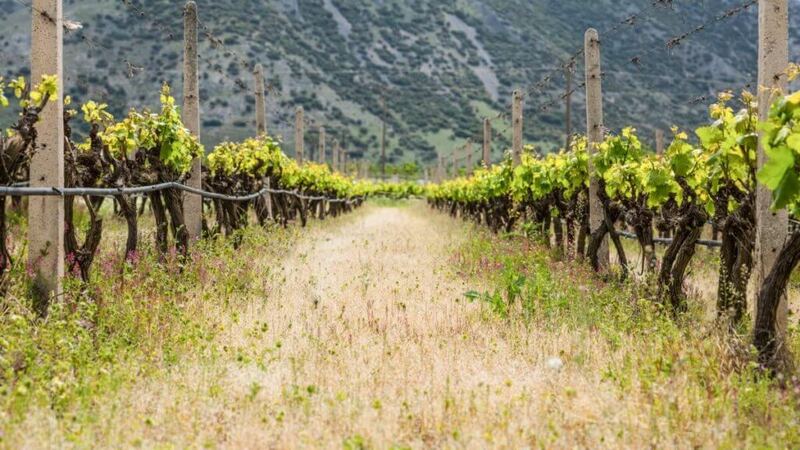 The post Argentina Beyond Malbec: A Duo from Susana Balbo Wines appeared first on Jameson Fink. I was introduced to the Dúzsi Tamás winery and its Hungarian rosé menagerie thanks to fellow Greenpoint resident and ace wine entrepreneur Athena Bochanis. (We were introduced by Madeline Puckette of Wine Folly fame. Thank you, MP!) Athena started a company called Palinkerie Fine Hungarian Imports in 2o13, forgoing a career as a lawyer. I’d say ’twas an outstanding decision. Not that Athena couldn’t be a lawyer of great renown. But the wine thing is really working out. CASE IN POINT: I attended a Palenkerie portfolio tasting, at the Hungarian embassy no less! Athena was showing not one not two but six (!!!!!!) Dúzsi Tamás single-variety rosés. Or, rather, rozés. Winemaker Tamás Dúzsi actually makes eight single variety rosés, of which Athena imports seven. Tamás also crafts three rosé blends that are not imported. A la This is Spinal Tap, it’s a lineup of Hungarian rosé that goes to 11. Even better? You can buy these rosés in a six-pack. Whatever holiday wine list you have, PUT THIS AT THE TOP. STEP ASIDE, EVERYTHING ELSE. Look at this dang thing. Aren’t you in love? You’ve probably heard of all the grapes above except for numero uno, Kadarka, which is an indigenous grape. I’m partial to the Cabernet Franc and Pinot Noir, but those are grapes I love as red wines so no surprise there. If you can’t get this sweet box I recommend tracking down more than one bottle of these rosés to compare and contrast. This is a really cool learning experience. Each rosé has a different color, intensity, aroma, and flavor. Also it would make for an amazing tasting (aka drinking) party, preferably not full of navel-gazing, serial Zalto swirlers. Actually we wanted to try all of our red grape varieties in rosés, and we did it over the years. After that we have chosen among them the 6 best varieties beside the Kékfrankos to produce the first selection rosés in 2007. We specialize in rosé wines and wanted to show that rosé wines can be as great as great reds and whites, and that they can also be terroir products. They show the pure varietal notes of a certain grape variety without tannnis as it would be in reds. The selection box allows people (and also us :)) to taste these single vineyard, single variety rosés in different vintages. It is always a good experience. As these rosés are ageable, we can even taste the different selection rosés from the different vintages to compare them to each other. Actually they develop with time, many of them showing late harvest notes in the nose, and ripe fruits. Ok, you have your marching orders. Make the rest of this year, and from 2019 to eternity, all about the rozé. For more on Athena, read this profile on SevenFifty Daily. The post Hungarian Rosé Six Pack is All I Want, Forever appeared first on Jameson Fink. If you asked me if I was familiar with the Greek indigenous red grape Limniona, I would say, “Hell, no.” I would have a similar reply if queried about the wine region of Trynavos, which I now know is in the center of the country and not too far from the Aegean Sea. Honestly, most of my Greek wine knowledge is Assyrtiko from Santorini. So this rosé from Domaine Zafeirakis is a delicious education in a bottle. My wall, my bike, my wine. As stated earlier, buying this wine is also a conscious effort to explore the darker side of rosé. As you can tell by the color, there’s gonna be some body in this bottle. A kind of “red wine drinkers rosé.” It’s substantial and savory. Not just the most unique rosé I’ve had all year, but probably the best, too. So the next time you’re in a wine shop, resist the temptation to reach for something familiar. Pick out a bottle made from an unfamiliar grape, region, and/or style. If you’re not keen on making your own selection, speak up. Have your friendly wine shop pro pick out something that’s new to you. As a bonus, you might get a little grape and geography lesson like I did. The post Greek Rosé Time appeared first on Jameson Fink. Much time has passed since I last had one of the world’s most iconic wines. It’s not just legendary, but vital year after year. I’m talking about the Domaine Tempier Rosé. Yesterday I enjoyed a bottle as it is best enjoyed (outside of southern France, at least): with a friend over a great, leisurely lunch. Since I apparently can’t stop writing about rosé, I’m going to soldier on until I have scoured the earth for all the unique bottles of dry pink wine I can find. 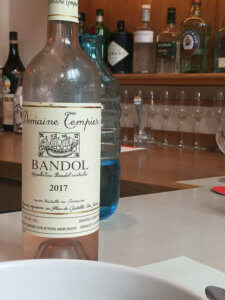 The 2017 Domaine Tempier Rosé has the extra richness you’d expect from a Bandol along with some more pronounced and delightful aromas than your average bland-o pink wine. It’s a blend of 55% Mourvèdre, 25% Grenache, 20% Cinsault. I would say it’s the Mourvèdre that really pulls its weight in the flavor and scent departments. Also a huge shout-out to Scampi. It’s an outstanding restaurant, perfect for lunch. Especially when you roll in at 2pm and it’s nice and quiet and you can sit at the bar with a friend. And speaking of friends, I’m lucky to have a good buddy of mine who I worked with at Bottlehouse in Seattle on the staff. If you are in NYC for restaurant week, you get two courses here for $26. The food was outstanding. Finally, two tiny, perfectly crisp cannoli with chocolate chip ricotta cream. How about the beautiful plate they came on? So if you can’t drink it at the domaine, Scampi on a quiet afternoon is a dang fantastic substitute. We were even joined at the bar by someone very much a Manhattanite, noting nothing would compel her to go to Brooklyn now that she didn’t have a car. (Cabs and subways are, apparently, not an option.) She stepped out often for two puffs on her cigarette. I could have listened to her all day long, and wish I would have spoken to her more than I did. No doubt she has a ton of New York stories. Domaine Tempier photo from Kermit Lynch Wine Merchant website. The post Domaine Tempier Rosé 2017 is a Legendary Bottle appeared first on Jameson Fink. 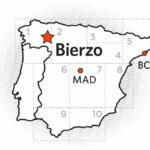 I’ve been a fan of a small region in Northwest Spain for quite a while: Bierzo. (I first wrote about the region, albeit quite briefly, in 2005!) The main grape you’ll find there, Mencía, makes great red wines. Now I’m delighted to get into some pink examples. Liquid Geography rosé is the most recent bottle I’ve had. It’s brought to the US by Olé Imports. The vines that go into this 100% Mencía rosé were planted in 1963, some serious old-vine material. It’s got no oak and sports an easygoing 12.5% alcohol. Great wine and great causes, what’s not to love? Wine-searcher has the average price for the 2017 vintage as $11. So I’d add “great price” to the prior sentence as well. Why are Rosé Bottles Crazy with Shapes and Packaging? That lasted a day. So as the kids like to say, #sorrynotsorry. All images via Olé Imports. The post Liquid Geography Rosé is a Feel-Good Wine appeared first on Jameson Fink. Living that lavender lovin’ life. That’s what drinking Provence rosé should be all about. A chilled glass transports you to a specific time and place. It’s the “Calgon, Take Me Away” of wine. Wow, the beginning of this commercial is very intense. And, conversely, the calming properties of a bath with Calgon are prodigious. Also, “Calgon” sounds more like a sci-fi alien overlord or planet than a scented bubble bath product. On the latest episode of the What We’re Tasting podcast, I speak with Roger Voss about Provence rosé. While there’s a lot of boring plonk out there, we focus on three wines that make the case for a diverse region full of different blends, terrains, and styles. Burning questions about Provence rosé: Can it age? Aspire to heights of great red wine? What about using oak? Best food pairings? Is it seasonal? What’s up with the crazy bottle shapes? Also discussed: yachts, shopping cart snooping, and scary mountains. Photo by leniners via Flickr. The post Provence Rosé Podcast appeared first on Jameson Fink. I constantly drink pink wine. 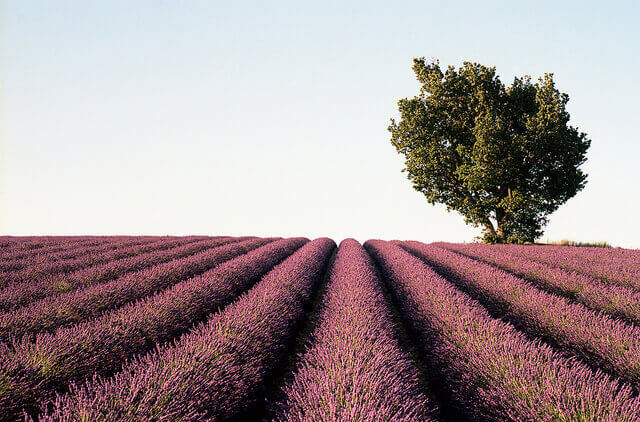 But most of those bottles are blends, particularly in the style of Provence. Lots of Grenache, Carignan, Syrah,Mourvèdre, and/or Cinsault in various percentages. (And other grapes, too.) But I want to focus on Pinot Noir and particularly the Rodney Strong Vineyards Rosé. The winery sent me a sample bottle along with a few other current releases. This Sonoma winery makes its rosé from 100% Pinot Noir, sourcing it from the prestigious Russian River Valley region. Something about Pinot Noir rosé I find striking in very good examples (like from Sancerre or Burgundy) is that have a…well…how to say this? This is going to sound really dumb. OK, I’m going for it. Great Pinot Noir rosé has a lovely…Pinot Noir-ness to it. Whew. Ok, I said that and the world didn’t stop turning. My point is that a lot of nondescript rosé, particularly from Provence, it doesn’t smell or taste like much. Though, truth be told, I drink a hell of a lot of rosé like this. Falling on my corkscrew for you here on this blog. It’s really nice to stick your nose into a wine glass, or in my case a juice glass/rando Fernet short (not shot) glass/enamel tumbler, and get some nice whiffs of classic, pretty, elegant Pinot Noir. Extremely pleasant. So while rosé blends are great, it’s really fun to drink one made 100% from a single grape. And then think about the red wines you’ve had from that grape and how much you get a sense of it from the pink stuff. (Cabernet Franc is another grape I find very interesting in both rosé and red form.) And by all means, keep on drinking those rosés made from a unique, thoughtful hodgepodge of grapes. Just keep slaking your thirst with rosé, period, forever. The post Rodney Strong Vineyards Rosé is Pinot Noir Pleasure appeared first on Jameson Fink. Do You Drink Rosé Wine Beyond The Pale? I’m probably as guilty as anyone when it comes to my rosé wine selection. I gravitate towards the ballet-slipper pink, classic pale Provençal style widely popular, and imitated, all over the world. While I applaud this astonishing success story, I urge you to explore the full spectrum of colors and flavors when it comes to rosé wine. Photo by Emrys Horton via Flickr. The post Do You Drink Rosé Wine Beyond The Pale? appeared first on Jameson Fink. I am a huge fan of Cabernet Franc from the Loire Valley. Many bottles are in my Hall of Fame, including one that’s probably in my Top Ten reds, ever. It’s a rising star on another continent, in a different guise, and what might seem a surprising state. Yes, Washington. Enter the Seven Hills Winery Rosé. Recently I was invited to lunch with Casey McClellan. He holds the dual titles of winemaker and founder at Seven Hills Winery. We started with a white and progressed on to a flight of reds, but I have to admit I was most excited about the rosé. Mostly Cab Franc, with a touch of Petit Verdot and Malbec, this rosé has the flavors I adore in Cabernet Franc. Specifically, herbal notes, a little bit of olive, a certain savory quality. This wine has a distinct Cabernet “Franc-ness” that sometimes can be muted in a rosé, or certainly not as prominent as in a red wine. During that lunch at Union Square Cafe, a serendipitous food and wine pairing happened. The (pictured) salad of cara cara oranges, fennel, pine nuts, and ricotta salata was not just stunning to look at and to eat. It was also about as ideal of a match you can get with a wine. I also enjoyed the 2016 Sauvignon Blanc, which has a dollop of Sémillon for richness and roundness. It’s also, interestingly enough, partially aged in oak barrels with acacia wood tops and bottoms. The 2016 Walla Walla Valley and the 2014 Seven Hills Vineyard were a Merlot duo worthy of praise. 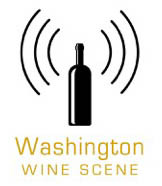 The combination of Seven Hills, McClellan, and Washington is a hallmark for this grape. Finally, we took a quick trip to Red Mountain to enjoy the robust 2014 Ciel du Cheval. The post Seven Hills Winery Rosé Makes Cabernet Franc The Star appeared first on Jameson Fink.